Many of our patients come to Dr. Kelly for advice about overall health and wellness as it can be difficult to discern “fact” from “fiction” when doing research on your own. Dr. Kelly frequently attends continuing education seminars on a variety of subjects, including nutritional needs, and so always has the latest research to support her recommendations. There are many reasons you may need to eliminate foods or add supplements to your diet, whether it is related to a weight loss goal or a deficiency in your system. Nutritional supplement recommendations are not only based on recent findings, but on your individual needs, conditions, and goals. We aim to help you achieve a fulfilling and happy lifestyle full of the activities you enjoy most. This can occasionally mean a change in diet or supplement intake, depending on issues being addressed. If so, you may want to consider completing a detox to rejuvenate your body and get you back on the path to the health you want and deserve! We know it can be intimidating – read and find out how you can make the program work for you! We live in a more toxic environment than ever before: between pollution, the number of unhealthy, processed foods the average American consumes, as well as mental stress, our bodies can get overwhelmed when cleansing itself. The nutritional strategies associated with completing a detoxification program are effective in assisting the body in the cleansing process. Lessening and/or disappearance of past conditions such as migraines, stomach aches, etc. *Which program you complete may affect your results. Choose which one works best for your symptoms and schedule! You may feel a little worse before you feel better; this is normal. Your body is eliminating build up, which brings toxins out of storage and can cause uncomfortable symptoms through the healing process. Symptoms can be: headaches, fatigue, aches and pains, rashes, and others. 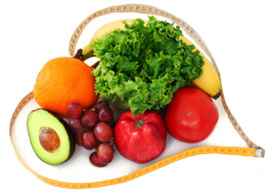 Although not designed as a weight loss program, completing any of our detoxification programs can lead to weight loss. Though you may feel some fatigue initially, you are welcome to keep your normal exercise routine. You know your body best – if something feels like too much, take it easy! Your body will be going through changes during the detoxification process and you do not want to overdo anything. What types of foods should I buy? Eating organic, whole foods is encouraged during the detox, but not mandatory. Simply focus on eating as clean as possible – the program is flexible and can be shaped to best fit your lifestyle needs. At Tree of Life Wellness Center, we have extensive experience working with patients who have specific health and nutritional issues including diabetes and food allergies. You may consider completing a food intolerance test or a detoxification program to further decide which foods to add or eliminate from your diet as well.